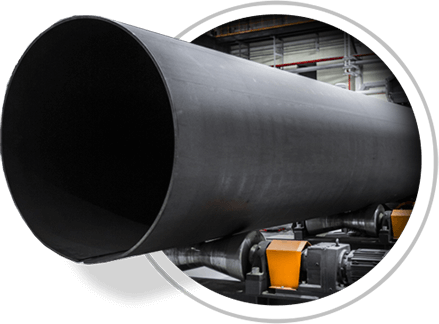 The most modern pipe plant in Russia – Zagorsk Pipe Plant (ZTZ). 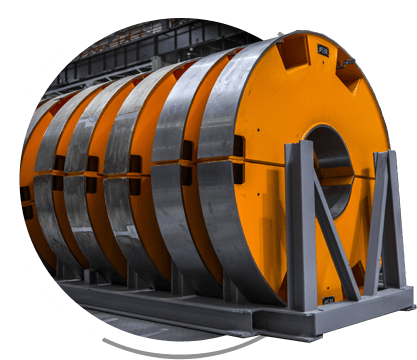 “Zagorsk Pipe Plant” is intended for manufacturing of electric-welded large diameter pipes for oil and gas pipelines: diameter 508-1422 mm, length up to 12.2 m, from steel up to X-100. The oil and gas companies are the main customers of the new pipe plant. The annual capacity is between 500.000 – 700.000 tons. The project may be considered as unique in its own way, including the project implementation period. It has taken only 16 months from the start of the construction to first pipe manufacturing. The pipe plant is equipped with the most modern equipment and infrastructure (green-field project). The equipment supplier is one of the leading European machine-building companies. This company already supplied the similar pipe plant to Russia “turn-key”. 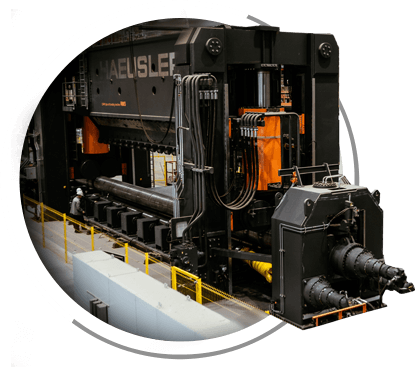 The working experience of other Russian pipe plants was completely taken into consideration, and as a result all the equipment is the most modern and efficient, and it was manufactured only in Europe. Besides the main equipment the pipe plant is also equipped with shot blasting machine for steel plates cleaning, which allows detecting the possible flaw in plates before pipes manufacturing. The plates cleaning also prevents the contamination of the workshop with dross. The new pipe plant is also equipped with lines for outer 3-PE coating and inner flow coating for cross-country gas pipelines. The heat and water proofing insulation (on the basis of foamed polyurethane) is put on steel pipes on the nearby production facilities of ITZ. The water proofing may be coating on the base of extruded polyethylene and also various one- and multi layer anticorrosive coatings on the base of zinc filled, epoxy and polyurethane liquid and powder coatings. Due to the expansion of sales ZTZ has been strengthening its position as the modern high-quality cost-effective plant. As before we have been offering flexible prices and the shortest delivery time at that ensuring the required production quality. In the coming months we are planning to master the manufacturing of the products for submerged crossings under DNV standard which will provide us the additional advantages at the highly competitive market of the fuel and energy complex.